Don Cherry was clearly bothered by Phil Kessel's routine prior to Game 7 between the Ottawa Senators and Pittsburgh Penguins on Thursday night, so the Coach's Corner commentator took the opportunity to rip the Penguins forward during the first intermission. Don Cherry didn't like Phil Kessel's routine prior to Game 7 between the Ottawa Senators and Pittsburgh Penguins on Thursday night, so the Coach's Corner commentator took the opportunity to rip the Penguins forward during his first intermission segment. 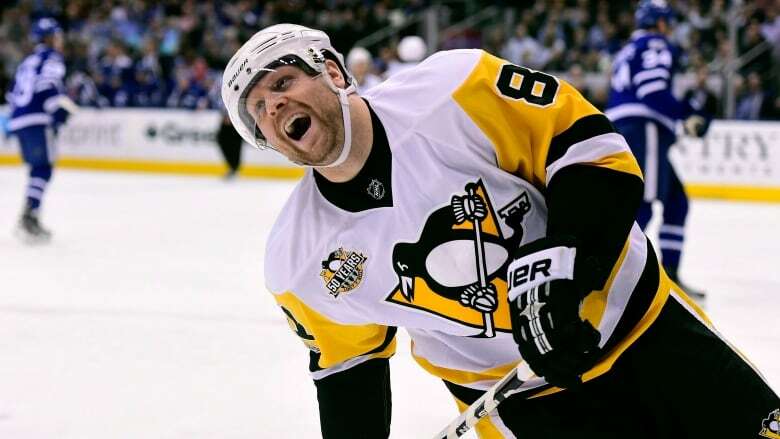 Cherry referred to Kessel's behaviour as "foolish" and as something he "would not put up with." Kessel can be seen sharing a light moment with the team's trainer during warmups at the PPG Paints Arena. Cherry told his audience he didn't think it was acceptable behavior for the Penguins third leading scorer in the playoffs. Cherry also suggested the display by Kessel, which would likely have more of an impact on the younger players, may explain why he was traded by Toronto and Boston. Ron MacLean observed the routine seemed to be something that Kessel shared with teammate Ron Hainsey. However, that was not satisfactory to Cherry, who declared it was "two Americans, American's act like that, Canadians don't act like that." But at least one person south of the border did not take offence to Cherry's remarks, and even provided reassurance that Cherry does in fact like Americans.